It’s that time of the year again when you have to frantically search for professional cleaners to get the carpet looking all good and shiny! Well, are you frantically searching for someone for carpet cleaning? Are you worried that they will be unable to handle the fiber? Well, you can stop your worrying and let the professionals do their job. At, Carpet Cleaning for Perth, we take care of all your cleaning requirements regarding carpets. We understand how easily you are troubled by the dirt and grime that accumulate on your carpet and hence, recommend cleaning it thoroughly at least twice a year. We understand how vital your carpet is and how much you have invested in it. Therefore, we assess all factors before coming up with a solution for cleaning at Golden Bay WA 6174. Clients can now stop worrying about their cleaning and they don’t have to get their hands dirty, as we will do all that on your behalf! What are the Various Types of Carpets that We Deal with? We deal with all types of carpets when it comes to carpet cleaning. We understand how the carpet fibre differs in composition and hence, come up with a method for cleaning accordingly. Like for example, for carpets made of wool, we refrain from using bleach to remove stains as it dissolves the fibre. Only based on our assessments do we further devise any carpet cleaning methods to remove the filth from the carpet. There are numerous methods that we employ to clean carpets, and especially the stains. Carpet stains are particularly difficult to remove and also most common in our experience. Everyone has dropped something or the other, some tea or coffee, or a glass of wine. Or maybe the dog couldn’t hold it in and just did his business right there on the carpet. No matter what kind of stain it is, we deal with all and remove it to restore a carpet’s former condition. Chemicals often mixed with household ingredients like vinegar to remove juice stains. Detergents along with vinegar to remove urine stains by pets. Water and bleach, depending on the carpet fibre to remove coffee stains. However, you might not be aware of but not all solutions can be used on all carpets. Using the wrong solvent may damage the fibres and cause the stains to spread more. Being professionals, we use specialized carpet cleaning agents that are tested and proven, along with the right equipment to handle such stains. We have the best cleaning methods for carpets to offer in Golden Bay WA 6174. We have expertise in this field and can help remove all kinds of stains while ensuring that your carpet retains its former lustre. Our team of cleaners is extremely professional and will guide you through the whole process. Call us now! Many people remain confused when it comes to cleaning their upholstery. 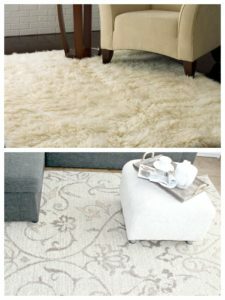 Upholstered furniture uses different types of fabric which makes it quite critical to clean. Which is why, you should always rely on professional upholstery cleaning to find out about the best cleaning methods that would be suitable for your furniture at Golden Bay. Regular vacuuming and dusting is of course necessary to ensure that your upholstery fabric never becomes dull or doesn’t simply collect dust over time. However, it is essential to opt for a professional upholstery cleaning company to ensure deep cleaning of your upholstered furniture, from its very interior layers. The right method to clean upholstery prevents the fabric from bleeding colour or damaging it. Moreover, it also avoids shrinkage of the fabric. Synthetic upholstery furniture is now common among numerous houses. Some use it to make patio furniture while others to make really attractive futons. Most of these furniture are made up of fibres such as polyester nylon, olefin, etc. which are really easy to clean. So, we use water based methods to clean such upholstery. Furniture made up of microfiber is easiest to maintain. Their dense configuration doesn’t allow dirt and dust particles to settle deep in the furniture. Though regular dusting is enough, however, stain removal is a bit problematic which is why professional help is required. Upholstery that boasts of 100% natural fibres usually comprise of cotton, wool, silk, etc. Because these fabrics are good at retaining water, thus, water based cleaning is not an option for them. For such fabrics, our cleaners use the steaming cleaning method in Golden Bay WA 6174. While leather again is easy to maintain and clean, however, stain removal is not that easy. For such cases, it is essential that you opt for a professional cleaner to remove such tough spots. Many upholstery furniture comprises of blended fabric which is usually some natural fibre mixed with synthetic fibre. Thus, cleaning poses a problem but, not for our professional cleaners. They use special methods to remove spots and clean it thoroughly. Well, if you want your upholstery to retain its present condition, then it is time you opt for our professional cleaners. We have years of expertise in handling such upholstery cleaning and provide you with the best guidance and service in the industry. 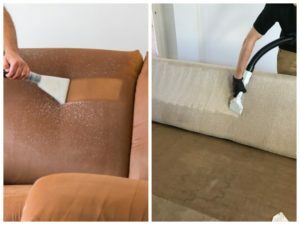 We apply the correct techniques and equipment to clean out tough spot and restore the glory of your upholstery. So, all you need to do is pick up your phone and ring us now! Worried that your tiles will lose that shine after a few years? Are you concerned that they might be susceptible to damage and might get cracked over the years? Well, not with the right amount of care and maintenance! Tiles are susceptible to damage because of the porous nature of the grouts. However, with periodical tile and grout cleaning, the condition of the tiles can be maintained for years, without much problem. How to Care for Your Tiles? In addition to opting for professional tile and grout cleaning at Golden Bay, it is necessary to look after the tiles as well. The grouts are vulnerable to the formation of moulds which can transform the very nature of your tiles. So, how can you possibly look after them? By moping wet floors regularly and properly, you can ensure that water or any other liquid doesn’t wear down the grout lines and form cracks. Clean out any dirt, or dust particles with a brush or vacuum them regularly to ensure that they do not stick to the grout lines. Such particles tend to loosen the grout lines. Ensure that your bathrooms where tiles are installed have proper ventilation to let out any stored water. Or else, they tend to facilitate the growth of fungi and moulds. Limit the use of tile cleaners for regular cleaning purposes as they erode the grout lines. They are mostly composed of acids and thus, corrode marbles. Also, do not use abrasive cleaners to clean your grout lines. These are just some ways to care for your tiles at home. Leave the actual cleaning for us, Carpet Cleaning for Perth, to handle the unwanted particles and stains, and maintain your tiles and grout. How Do We Help Out with Tile and Grout Cleaning? We use superior technology and cleaning methods to maintain the luster and ideal look of your tiles and grout. Stain? No problem! 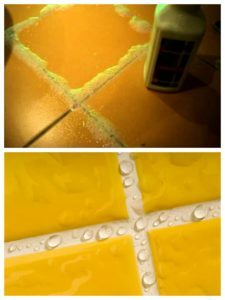 Our tile and grout cleaning methods can remove any stain from your floor, counter top, etc. We assess the tile first and then devise a method to clean it so that we do not further damage the existing condition of your tiles. Our company seal your grout lines periodically while cleaning to prevent corrosion. This company make your home safer to live in as we eliminate the presence of foreign particles that might risk your health. So, what are you waiting for? Give us a call now and bring back the shine! We are near you in Golden Bay WA 6174. Concerned about cleaning your carpet or tiles? Well, not anymore! Shed your inhibitions about calling for help by contacting us at Carpet Cleaning for Perth. We are exclusively here to cater to your household needs and help you to maintain a spick and span home. We understand your concern for your investments and hence, come up with effective solutions to clean up the dirt. With our considerable expertise in this industry, be assured of quality cleaning as we always strive to deliver the best. Be it deep cleaning of your carpets or upholstery, or sealing and removing debris from your tiles and grout, we cater to all your needs. So, go ahead and give us a call at Golden Bay WA 6174 and experience the best out of our services! Excellent Carpet Cleaning Services in Golden Bay WA 6174 – Carpet Cleaning for Perth – call us on 0424 470 460.